LAGOS OCTOBER 22ND (URHOBOTODAY)-I remembered at a point in time, there were lots of threads that hit the front-page about Nigeria’s major ethnic groups and their dialects. I remember that of Edo, Igbo, Hausa and Yoruba. However, it ended there. Other ethnic groups were not listed and that trend died. However, it is important to know things like this. For one, speakers and learners of the language can know and learn these things. Other Nigerians and the world at large can understand the internal intricacies of these languages and how they work. Hence, I have decided to revamp this tradition with Nigeria’s minority and less known ethnic groups. I am going to be covering most groups and will appreciate speakers of the language to help make the work easier by opening threads and adding facts, correcting errors and what we have in already opened threads. The Urhobo People as a cultural unit has already been treated by me sometime ago in this thread. These Dialects accounts for the main branches of Urhobo(Clans). Although there are other Urhobo clans such as Ogor, Olomu, Agbarha-Ame, etc but the linguistic features of these clans are either similar to one of the those mentioned above or not too obvious to become a dialect of its own. Most of these clans use central urhobo. The dialects listed are sometimes not mutually intelligible except for Central Urhobo which is the lingua franca of Urhobo People. These various dialectal groups also have peculiar cultural traits. We will briefly examine these groups one by one. The Isoko Dialect of Urhobo is so broad and large that it is effectively a language of its own. Isoko is a proto-Edoid language and hence it is closer to how Urhobo once was when the people said goodbye to their Benin progenitors. Isoko has its own sub-dialects such as Iyede, Erhowa, Enwhe, Olomoro, Oleh, etc. The main dialectal difference between Urhobo and Isoko include; Use of Degwo instead of Migwo for greeting, repetition of utterances and words.i.e. “Yanzobone Yanzobone (Come here, Come here)”, different names for various objects, etc. My Isoko people here can help out with more. The Agbarho/Ughelli dialect of Urhobo is deemed to be the purest, fluent and undiluted form of Urhobo language. It is understandable by all Urhobo people and has widespread acceptance. It is spoken mainly in Ughelli and Agbarho, a suburb of Warri and Ughelli, both in Ughelli North LGA. This is the version of Urhobo taught at Secondary Schools, College of Education and Delta State University. The Okpe Dialect has the largest number of speakers in Urhobo land. They stay in Okpe and Sapele Local Government Areas. They are all ruled over by the Orodje of Okpe, a historical and semi-hereditary traditional kingship and a first class King in Nigeria. The Okpe dialect is considered deep and hard by other Urhobo speakers. In fact, the Okpe dialect is believed by many to be closer to Edo than it is to Urhobo. The average Urhobo man will have a field day understanding Okpe. The differences between Okpe and Central Urhobo is so large that one wonders why it is classed together as Urhobo when it obviously has more connection to Isoko than Urhobo. However, they are culturally the same with Urhobo. Dialectal differences cut across greeting.i.e. Deewho instead of Megwo, names of objects and animals, meaning of common words, etc. My Okpe people, please help me out here with some differences. When I was growing up, we had two neighbours that were Ughievwien (Ujevwen) people. I remember that my mother always had a field day analysing how funny they spoke. The Ughievwien people occupy Ughelli South LGA. Their major town is Otu-Jeremi with other towns and villages such as Egbo, Effurun-otor, Olomu, etc. These people are simple minded and live in mainly riverine areas. Their language is seen as “impure” and unintelligible by most Urhobo speakers. Their version of Urhobo involves a lot of tongue twisting and tongue rolling. They speak as if they sing. Their words are pronounced differently most times and the stress/tonation is slightly different from Central Urhobo. Ujevwen People, please help me out here with more examples. Uvwie Dialect is spoken by the people that occupy Uvwie LGA in such towns as Effurun, Enerhen, Ugbomro, etc. Their Urhobo is mildly understandable by the average Urhobo speaker. Theirs is an amalgam of Okpe, Agbon and Udu. In their cultural system, the Otota (Spokesman and Prime Minister) found in other Urhobo clans, is replaced with the Unuevworho with similar but slightly different functions. Uvwie people greet differently, some words and their stress placement are also different from central Urhobo. Uvwie people, you know the drill. Its your turn. Agbon is spoken by the people of Ethiope East LGA. It is the second largest Urhobo kingdom. The main Agbon divisions include; Okpara, Kokori, Eku, Igun and Ovu-Oviorie. Of these divisions, Okpara is the largest while Kokori speaks a more proto-Agbon, or harder, version. Agbon Urhobo is extremely close to Central Urhobo. Differences are barely noticed. The main differences constitute the physical nuances of Agbon speakers. Other differences include pronunciation of certain words and their usage. Agbon speakers are understood across board. Their main difference is that the dialect is deep. It is the main dialect used in Urhobo proverbs, idioms and metaphysical expositions. If you want to learn Urhobo, dont start with Agbon. Agbon speakers can say more on this. The Avwraka dialect of Urhobo is spoken by people who occupy the northern parts of Ethiope East LGA. Their main divisions are; Oruarivie-Abraka and Umiagwa-Abraka, each with its own king. Divisions include; Ekrejeta, Ojeta, Oria, Erho, Ajanomi, Urhuagbesa, Otorho, Urhuoka, Umeghe, etc. Avwraka Dialect is seen as slightly “impure” by most speakers. Their dialect is a simplified version of Urhobo, perhaps too simplistic. The dialect lacks depth and its not as linguistically rich as most dialects. There are also cases of borrowings and adaptations in Avwraka dialect. Maybe the people from Abraka can do more justice to this. This dialect is largely elusive. It is mostly similar to that spoken in Ughievwien and also resembles Uvwie. I’d call it a secondary/mixed dialect of both Ujevwen and Uvwie. However, it is different in its own rights. I haven’t met most of its native speakers so my personal knowledge of this dialect is somewhat limited to what others have said. However, it is also “impure” and has a lot of phonological differences with central Urhobo. Udu people occupy Udu LGA, a suburb of Warri. Major towns are Otor-Udu, Aladja, etc. Udu people please help me out. The Ofoni dialect of Urhobo is an offshoot of the Ughelli dialect and it is spoken by Ijoid Tarakiri people in Odurubu and Oduophiri in Patani LGA of Delta State and Ofoni in Sagbama LGA of Bayelsa State. These people have lived alongside the Ijaws for so long that it leaves much to marvel that they have not been acculturated by now. They live far off land and one must fly a speed boat to reach these places on time. As expected, their version of Urhobo has been colorated by Ijaw with so much borrowings, transliterations, adaptations, jugglery, etc etc. I call on the Ofoni people to bail me out here. The Orogun Dialect of Urhobo is one of the most unique ones. It is spoken by the Orogun people who occupy Ughelli North LGA. They are close neighbours to the Ndokwa People of Abbi and Amai as well as the Isoko people of Iyede and Owhelogbo. They are mainly bilinguals. Most of the Orogun people can speak/understand Ndokwa(Igboid) and Urhobo. Most also add Isoko to their arsenal. Orogun itself is a kingdom with a King and it has several quarters. Orogun-Urhobo sounds like Ughelli/Agbarho Urhobo, just like the close Agbarha neighbours, but the influence of Ndokwa has penetrated the language. Words are different, syntax becomes juggled, pronunciations take a funny turn, most speakers code-mix and code-switch between Urhobo and Ndokwa and some cant even separate which from which. Only Orogun people can fully explain how unique their dialect is. The Agbarha dialect of Urhobo is spoken, in its various forms, by people in Agbarha and Okere in Warri South LGA, Idjerhe, Mosogar and Oghara in Ethiope West LGA and the aboriginal and eponymous people of Agbarha in Ughelli North LGA. The earlier mentioned groups (Agbarha/Okere Warri, Idjerhe, Mosogar, Oghara) were all migrants from Agbarha-Otor. The Agbarha dialect is similar to central Urhobo spoken in Ughelli/Agbarho. It is not impure per se but it is slightly different and not perceivably shallow. Only experienced speakers of Urhobo can pick out its dialectal differences. Agbarha People, you know the drill. Whew! It’s time for me to rest now. Like I said earlier, this dialectal list is not prescriptive but descriptive. IT mainly shows the various forms that the Urhobo language has taken in its development. Aboriginal speakers of the various dialects should contribute meaningfully to this thread by showing us some of the unique features of their dialects. I am not an expert nor do I claim to be but I love language documentation and plan to do what I have done here with other groups such as Ijaw, Itsekiri, Ibibio, Ogoni, Ebira, Igala, Nupe, etc. Let us harmonise ourselves here and eschew tribalism. We are one! Urhobo Ovuo’vo! It’s a good effort, more grease to your elbow. We kobi iruo. Urhobo ovuovo! Thanks you and more of bit Mr Mathias Orhero. It is good giving detailed in analytical format the Urhobo people. Now, you can see the commanding advantage position of the Urhobo in Delta State. Some idiotic, greedy, selfish and foolish Urhobo politicians are being used to scatter Urhobo rank and file for their in-ordinate ambition. 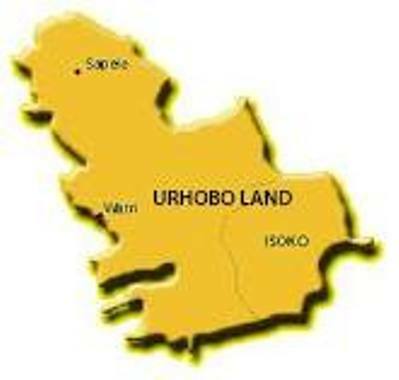 Instead of the Ivies uniting all Urhobos various local government areas in Delta State and trying to unify all Urhobo dialects to make more formidable in unity they (the Ivies ) are being sponsored by opposing political blocks to disorganise Urhobo by creating and orchestrating crisis in UPU. The Ivies should not reduce their role to that of puppet and sycophancy before a non Urhobo Governor instead of championing of Urhobo cause. Urhobo Ivie should NOT be errand boys and messengers, reducing themselves and their dignity to that of beggars status. you are right OMO Delta. The thing here is that many of us know fully well that there are so crack head leader who want everything for themselves and family. The unity of all Urhobo land in Delta state fall on us who are the generation of today. Thank you for this piece of work. However, let me quickly give you this as an addendum. Olomu is not part of Ughievwen. Although they both belong to same local government but speak different dialect. Second, the Eghwu ( Ewu-Urhobo) clan is not mentioned at all in your write up. The clan has communities like Eghereka, Gbaregolo, Olodioama, Alagbabri, Olota, Orere, etc.These communities speak Eghwu dialect. Third, we also have some settlements in Ilawe, Odo, Igbaraodo, Ogotun, etc all in Ekiti state. Thank you! This is really enlightening, great job.